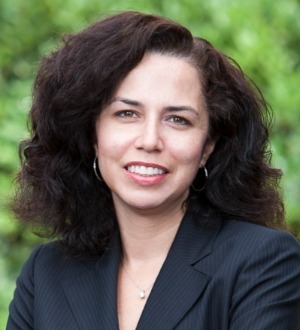 Diana finds the practice of immigration law rewarding on many levels. Whether she is strategizing with a company regarding the immigration impact of a merger or explaining our complex immigration system to an individual seeking to make the U.S. their permanent home, she appreciates the challenges in our legal system and the real lives impacted by the immigration process. Diana understands her role as an attorney is not only to secure a specific immigration outcome as efficiently as possible but also to advise employers and individuals so they understand the process and feel empowered as a result. Diana is a Co-Managing Partner of LARRABEE ALBI COKER LLP and is an AV® Preeminent™ Peer Review Rated* attorney whose practice includes a broad range of business immigration matters including hiring and retaining foreign national employees, implementing overall immigration policies and procedures, and compliance matters such as I-9 and LCA mock-audits and trainings. Her clients are from a variety of industries and include multinational corporations, start-ups, hospitals, educational institutions as well as individuals. Improving our current immigration system is of critical importance for Diana. As a daughter of an immigrant, she has seen first-hand the real-life impact our immigration laws have on families and our community. She frequently speaks with members of Congress and their staff regarding immigration issues and has served on a grassroots taskforce to advocate for positive change. Diana serves as an Ambassador for the American Immigration Counsel and previously served on the Executive Committee for the San Diego chapter of the American Immigration Lawyers Association. Diana also lectures and writes on a variety of employment immigration topics ranging from L petitions, PERM labor certification applications, Adjustment of Status, and I-9s.